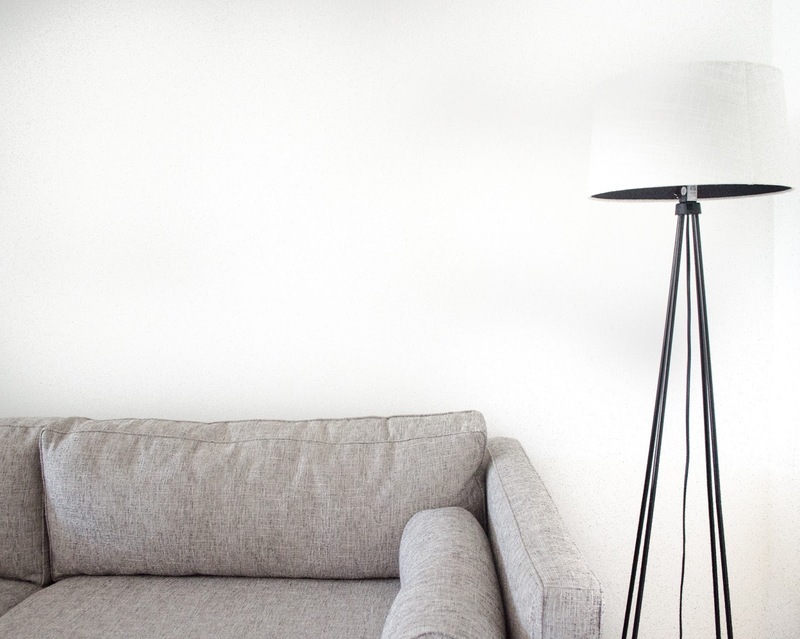 Sometime last week, I walked into my apartment to find a long-awaited sofa set up in my living room. I had been living in my apartment for 4 months with an unfurnished room, slowly accepting the fact that I would never know what it would be like to live in my living room. Well, my friends, the time has come. You may all come over and sit on my couch (4 at a time, as that is all it seats). We can watch tv and drink ginger beer; it'll be a grand ol' time. I've never been much of a soda person, but I've recently gained an appreciation for freshly brewed ginger beer. Instead of buying a bottle at the farmer's market for $4 a pop, I learned how to ferment my own. 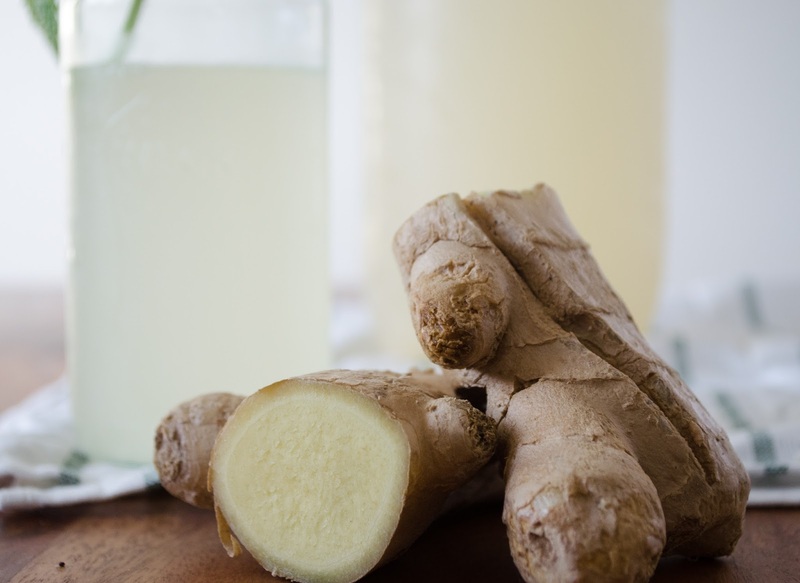 You can find a more detailed description about ginger beer and fermentation written by me, here. 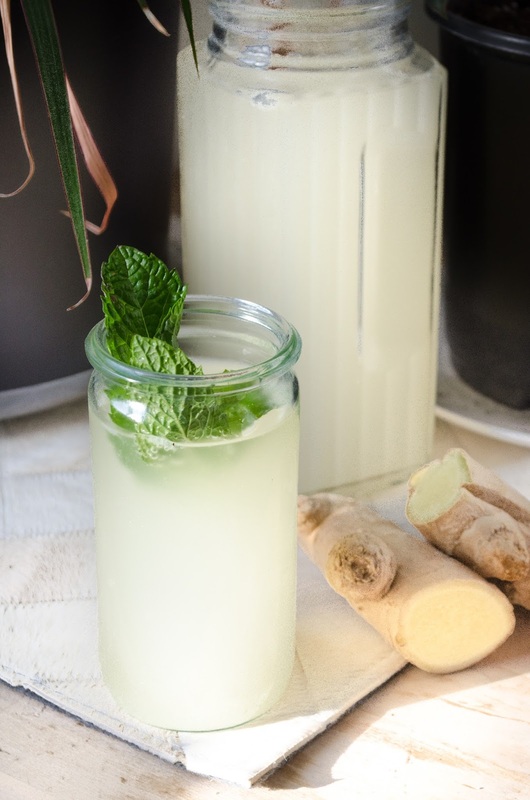 Meanwhile, here's a recipe for a homemade ginger beer that will make enough for you to serve to all of the friends you invite to your "I finally have a sofa" party----and other parties too I suppose. Make the ginger simple. Combine the sugar, water, and minced ginger in a small saucepan over high heat. Stir until the sugar is fully dissolved. Remove from heat, cover the pot, and let the syrup steep for 1 hour. Strain the simple syrup into a small bowl to remove the ginger. Funnel the yeast into a clean, dry 2-liter soda bottle. Then, add the fresh lemon juice, strained simple syrup, and filtered water. Screw the lid on tight and shake the bottle to dissolve the yeast. Set the bottle in a cool, dark place (away from sunlight) for 3 days. After 3 days, carefully open the bottle to release pressure. Chill the bottle in the fridge to slow down the fermentation. 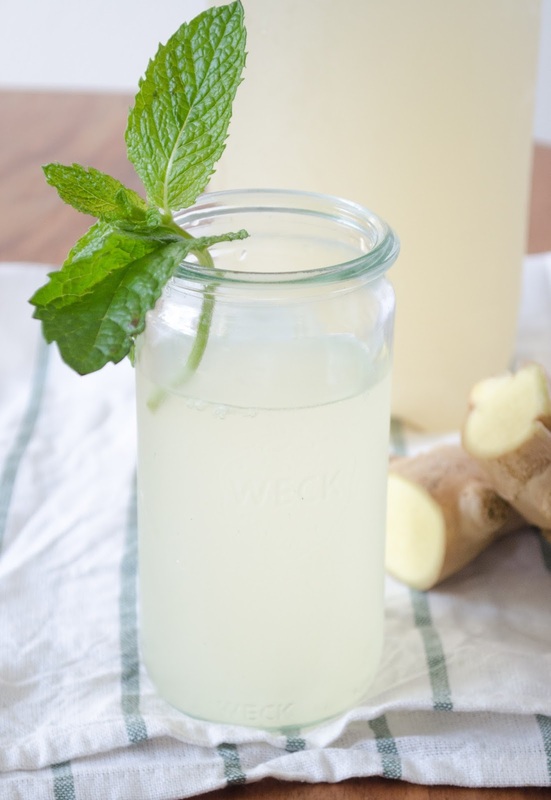 Drink the ginger beer within 2 weeks time, making sure to open the bottle once every day or two to prevent pressure from causing the bottle to explode. *Serve over ice with a sprig of fresh mint or use as a base for a summer cocktail.